Our region office in Phuket is proud to announce that co-founder of APS Phuket, Jojo, is a new member of the Board of Directors of the of Thailand. TMBA represents all aspects of the marine and yachting industry, including tour operators, boat manufacturers, and marine & yachting publishers. The association is presently comprised of more than thirty member companies of both Thai and foreign ownership. Jojo has worked for many years with integrity and a high level of expertise in supporting superyacht visits to Thailand and shares efforts with APS Phuket’s Gordon Fernandes. 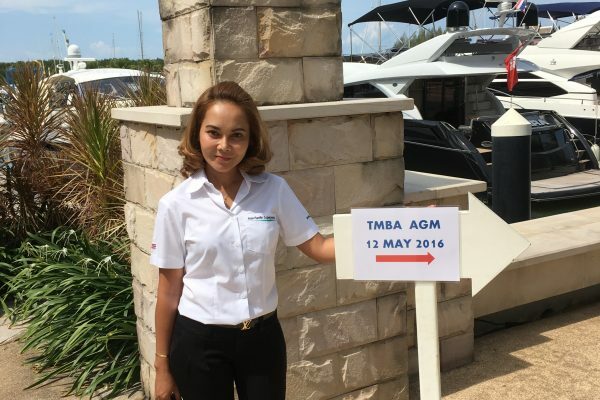 Founded in 2014, TMBA is a not-for-profit marine leisure industry association serving yacht builders, yacht charter operators, yacht sales brokerage and dealership, marinas, yacht repairs and refit, yacht management and other yachting-related companies throughout Thailand. The TMBA represents all aspects of the marine and yachting industry, including tour operators, boat manufacturers, and marine & yachting publishers. The association is presently comprised of more than thirty member companies of both Thai and foreign ownership. The TMBA Mission is to enable the networking of all Marine Leisure industry stakeholders in Thailand and globally to enhance the growth, value and quality of Yachting in Thailand for the benefit of its membership and helping the industry to overcome any challenges that may arise. The primary objective of the TMBA is to promote Thailand to the global Yachting community: its unparalleled exotic cruising grounds from the Gulf of Siam to the Andaman Sea, its network of top class marinas and its prime location for quality refit and marine services. TMBA endeavour to work with the Marine Department of the Ministry of Transport and the Tourism Authority of Thailand on the following agenda.